Highlighting cell differences in workbook #1. 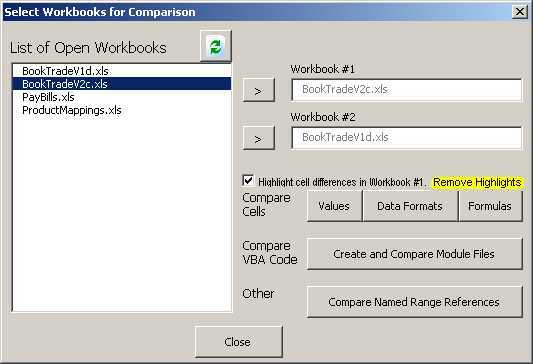 The application will create or modify comments for cells in workbook #1 that differ from workbook #2. The comments will show the value from workbook #2. The application also highlights those cells, unless they were already highlighted. This option can be toggled on or off. Since the application creates distinctive notes in the cells comments, the process can be reversed at any time. The highlights and comments revert to their original state. 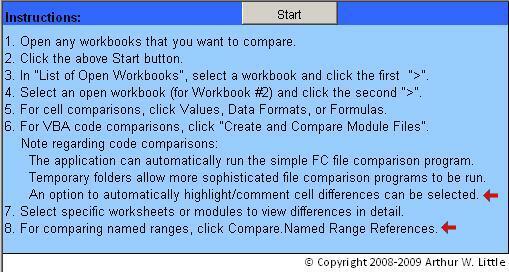 This option displays a results screen similar to the other comparison options. 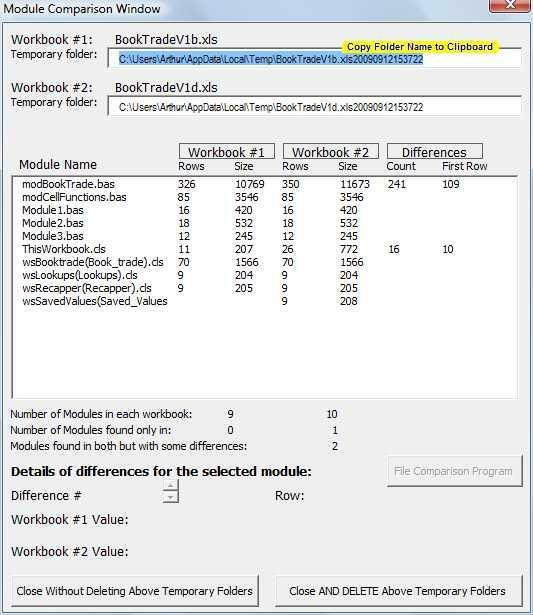 The following screenshots illustrate the new options. 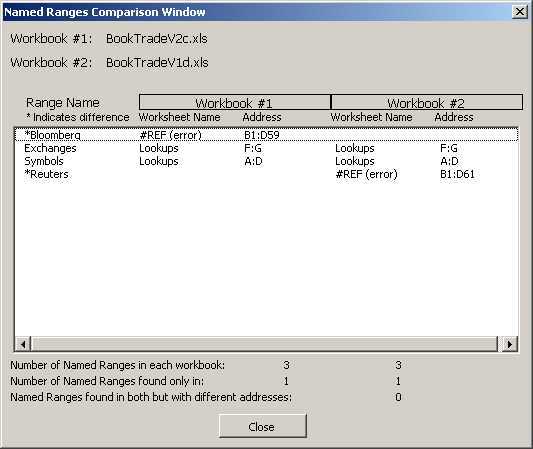 To make it easier to use outside comparison programs, folder path names can be copied. Whenever a path is clicked, it is highlighted and a copy command becomes visible. You can obtain a fully functional evaluation copy by contacting Arthur Little at ArthurWLittle@yahoo.com. Standard liability disclaimers would apply. For a fee, you may also obtain full rights to use this application for specific business purposes, and the source code may be unlocked and/or modified to meet your requirements.